When it comes to compound bows, there’s a lot to love about them. Their designs have been improving over the years, which means that you can use compound bows more and more effectively. At times, these bows are even better than their recurve counter parts. But because of how they’re designed and engineered, you might find it difficult to find the best compound bow for whatever you want to do. We’ll be going over some features that you will want to look for in the design of compound bows and point you in the direction of some well-designed examples. 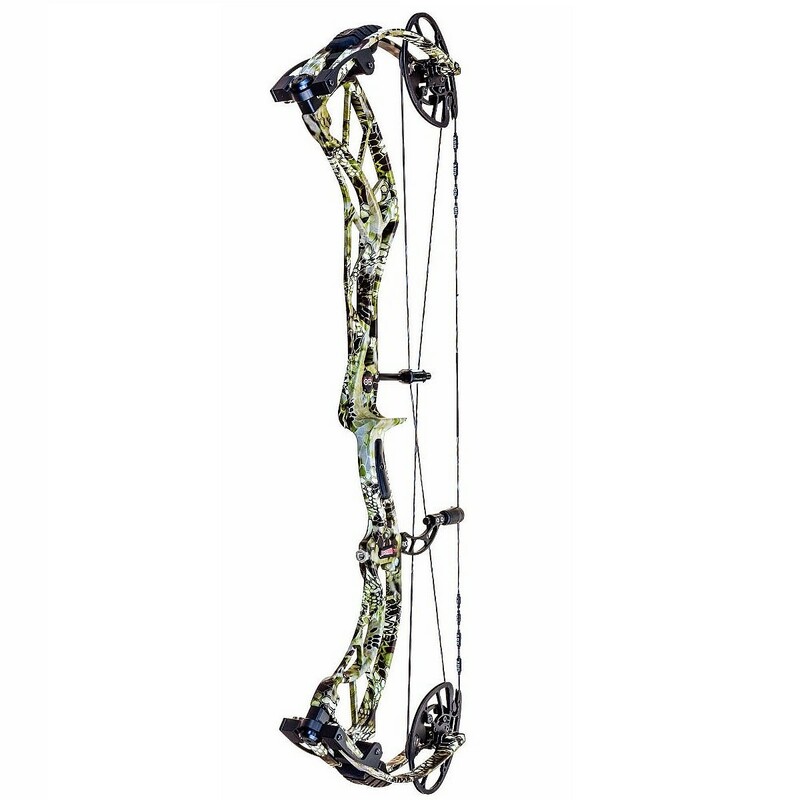 Our list should help you find a good compound bow that will do just what you need it to. 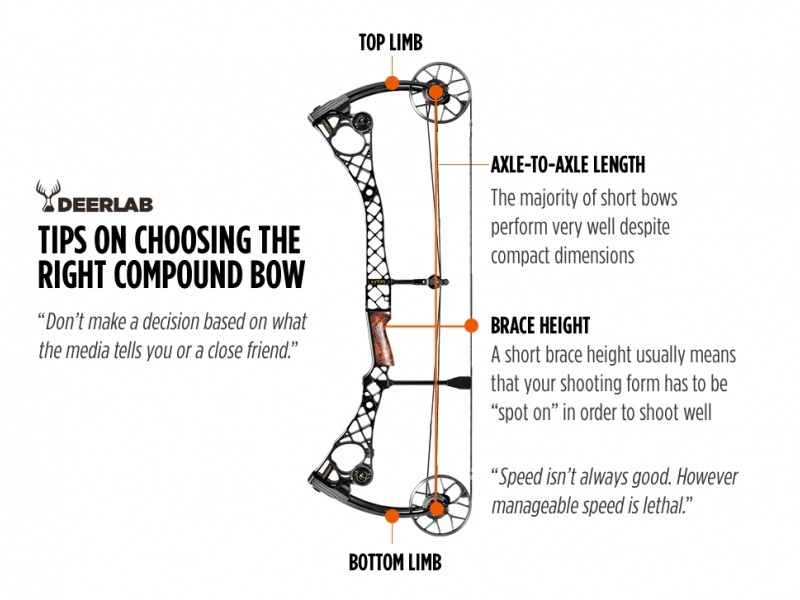 When it comes to picking out a bow, there are a lot of different things to look at. There are different ways that you will look at each of these options, but I will make sure to touch on the different ways that these will affect your bow and what purposes might require different criteria. 1. Purpose of the Bow – There are a couple major reasons for getting a bow. You might get a bow to go hunting. If that’s what you’re looking for, then you will want a setup that will really get the most power out of your bow. This means that you will want a higher arrow speed. You might also want a higher let off as well. Let off is where the archer is holding less of the draw weight. This means that you can have your bow ready but won’t have to struggle with the draw weight. You will also want a higher draw weight, so finding a bow with a good let off rate and a high draw weight will likely be essential for you. You might also want a lighter bow if you’re going out hunting with this bow. If you’re wanting to use your bow for target shooting, then you don’t necessarily need a bow that has a high draw weight. You’re looking for a bow that you will be able to shoot accurately. A lower draw weight, a higher let off, and a heavier bow might be what you need. The heavier weight (or even a longer bow) will help you get a more accurate shot. The high let off will allow you to really focus on getting just the right shot with your bow. But we’ll make sure to touch on what you want for hunting or target shooting in each section if it is applicable just to make sure that you know what to look for. 2. Length of Bow – When it comes to your bow length, you often want something that works with your body. Your draw length will often determine your bow length, but sometimes you might have a little bit of a range of bow sizes to work. Depending on what you’re doing, you might want a little bit longer bow. If you’re hunting, you’ll want a shorter bow. That’ll make it easier to carry around and also easier to fire. For target shooting, a larger bow will actually make it easier to get a good shot. The average length for compound bows that you want is roughly 30 to 32 inches. However, the length of the bow that works for you might be a little bit different. Make sure that you pick something that works for you. It doesn’t really matter if it doesn’t work for other people. 3. Draw Length – This is an important part of many different bow choices. The draw length is how far the string will go before it stops. If you get a bow that has a draw length that is too long for you, then you’re going to be missing out on some of the power that the bow has to give you. If the draw length is too short, then you’re going to feel uncomfortable while you’re shooting the bow. It might even make you less accurate. Whether it’s too long or too short, you are going to be unhappy. Before you go to pick out a bow, make sure that you’ve measured your draw length if you don’t already know it. If you’re new to the world of compound bows and archery in general, then you might want to go to a store and have someone help you figure out the draw length. Anywhere that sells bows should have someone that can help you. Also, make sure to test how the bow feels before you purchase it. 4. 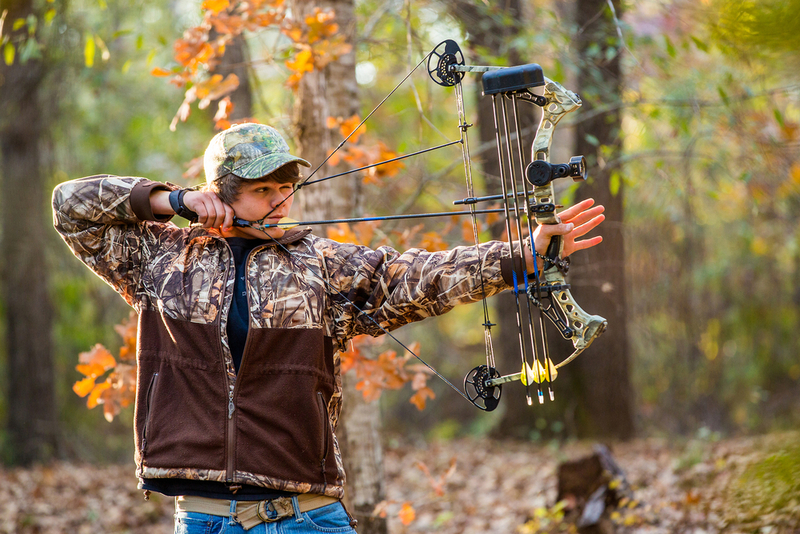 Weight – The weight of the bow can affect how you shoot. The lighter the bow, the longer you can carry it around with you and the more comfortable that you will feel with this bow. A heavier bow might be easier to aim with if you’re doing target shooting. For hunting, you’ll have to figure out a median where you won’t miss that often when you’re firing, but you’ll also be able to carry it with you for long periods of time. It’s a very personal thing to deal with, so make sure that you’re finding something that is right for you. 5. Let Off and Draw Weight – I have combined these two topics because they are so related. If you don’t already know, draw weight will affect how you shoot your bow. The higher the draw weight, the harder it is to shoot for some, but the more power will be behind the shot. A higher draw weight will be ideal for hunters, but it isn’t always necessary for people that want to just shoot targets. However, higher draw weights can mean that some people won’t be able to reach their ideal draw length. As we have already discussed, this can cause a lot of problems for the archer. The way that we deal with this is through let off. Because of the design of compound bows, you can wind up dealing with less of the draw weight yourself. Because of the way that the cams at the bottoms of limbs move and any weights that are attached to them, you might not have to deal with all that weight. There are some bows where you will deal with ten to fifteen pounds of draw weight when the bow has a draw weight of 70. This means that you will be dealing with roughly 20 percent of the actual draw weight. This would be an 80-percent let off. The higher the let off, the less weight you have to deal with. This can mean that you will be able to aim more without having to hold the whole draw weight. However, you will still have to be able to pull the draw weight to get to the let off point. That can still be a challenge for some people. 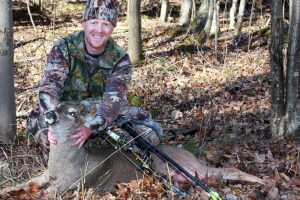 Even if you’re looking to hunt with your compound bow, you will want to make sure that you are capable of dealing with the draw weight of your bow. 6. Arrow Speed – The arrow speed of a bow is another measure that might help you decide on what kind of bow you want. The arrow speed is an indicator of the power behind your bow. Of course, the speed is affected by the weight of the arrow and the bow, but it can help you decide whether or not you want the bow. The higher the speed, the more power is in the bow. You might not need a bow with a high arrows speed if you’re aiming to just shoot targets. However, having a high arrow speed might be something that you want just for yourself. 7. Price – This is always something people consider when they’re looking at bows. 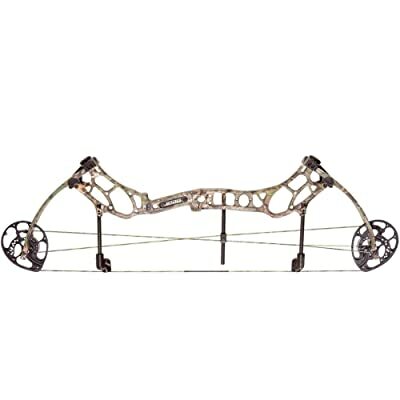 Compound bows can be made out of a variety of materials and can have varying qualities. The higher quality and better-designed bows are going to be more expensive. 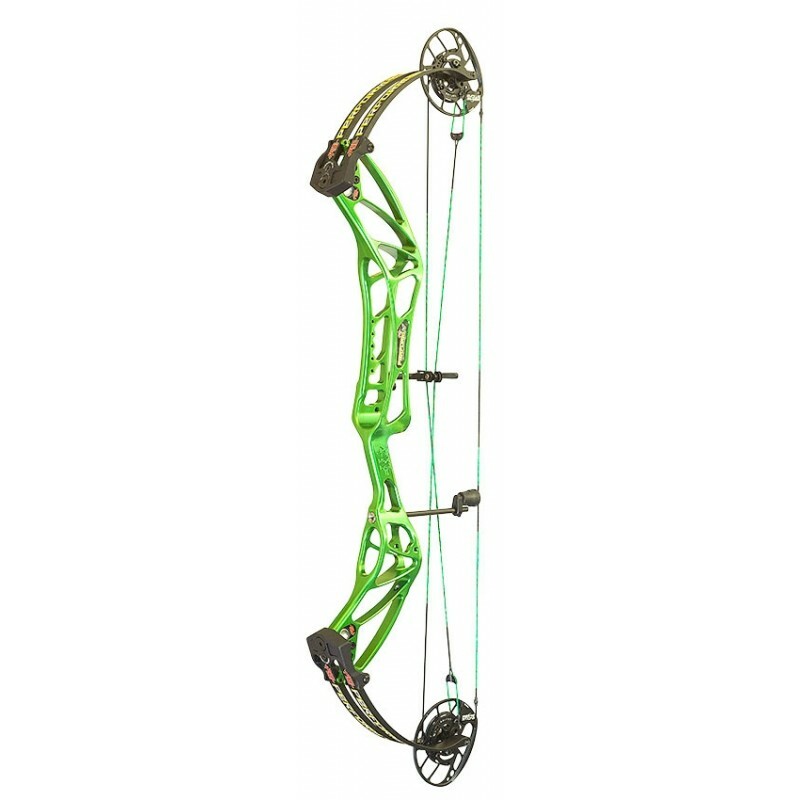 However, there are still decent bows that will be able to take down game and have great accuracy at lower prices. You might have to really look around for those prices, but they’re out there. Make sure that you aren’t breaking the bank to get a good bow. You can always save up for the bow of your dreams and get a cheaper one to practice with and use in the meantime. Being the best overall is a difficult task. So many things have to come together to create something near perfection. Though not the largest archery company or the most well-known, Prime checked every box with a bow that is very near perfect. If you want a bow you can hunt with, shoot for fun, and still handle serious competitions, the Prime Logic is the bow of choice! 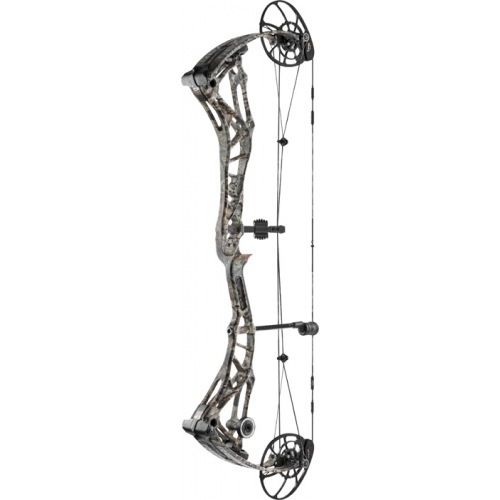 This bow is a radical redesign from previous bows by Prime with split limbs and an overall shorter length while still offering their Centergy technology to keep the bow well balanced. Unique to compound bows, Prime has also trademarked the Swerve Risers that are intended to keep the limbs of the bow working together for maximum let off, power and speed. If this bow is only near perfect it’s only because, with the short length and large cams, the bow is harder to roll over than its competitors but this is more than made up for by the smooth and consistent shots that the Prime Logic delivers. No hand shock or vibration. Stacks moderately as you get to the cams. Rollover is more difficult than most bows. More expensive than similar bows. 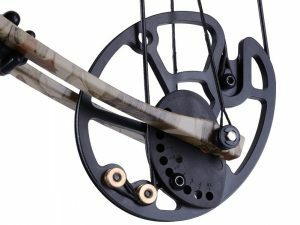 When choosing a hunting bow, a number of factors will decide what makes one bow rise above the others. You need a bow that is light enough to carry with you, fast enough to hit a deer before it spooks, quite enough not to alarm the deer early, and accurate enough to hit your mark. It’s a tough calling but Bear has been doing it for years and the Kuma is no exception! Bear’s Skeletonized ‘Bear Cage’ limbs keep the weight down while remaining rigid. The large, lightweight cams are quick and roll over easy for fast, comfortable shots. The trademark Sonic Stops keep the bow quiet and vibration free. And, as with any Bear bow, the Kuma is nearly laser accurate. If you buy a bow to hunt and do nothing else, the Bear Kuma is the best on the market hands down and at a price point that is a good bit cheaper than many of its main competitors. If you occasionally stray to the range or just shoot for a little fun, this bow will still serve you well! Smooth, consistent draw with no stacking. Less expensive than other top in models. Somewhat heavy for a hunting bow. Shots slightly more sporadic than similar bows. Some things in life are just given like death, taxes, and Bowtech quality. It’s never surprising to hear that Bowtech has produced a great bow. The Realm is just the latest in a long line of quality products that keeps Bowtech on the top of the list for some of the best bows produced, mainly because many of them are technological marvels! In years past, Bowtech devised the clever Overdrive cam system and their patented Powershift technology. Those are mainstays that have carried over into their next generation of bows. On top of that, the Realm has a unique system to tie the limbs to the core of the bow that keeps everything rigid, tight, and strong and makes the Realm a very accurate shooter. They have also added a movable dampener system to keep vibrations to a minimum. But what is technology worth if it doesn’t improve comfort? Bowtech did that too with their flat backed Clutch Performance Grip that makes all day shooting a pain free experience, even at high draw weights. Add that to their skeletonized frame for lightweight and low vibration and you have one slick shooting dream bow. Grip is narrow for people with larger hands. For those who hunt from a stand, bow weight is a big consideration and sometimes the lightest option is the best option. As long as it still does the job. The Carbon Air series is known for their low weight and the Stealth is the lightest weight of them all with a carbon fiber riser and titanium hardware. PSE is known for great products and innovation. 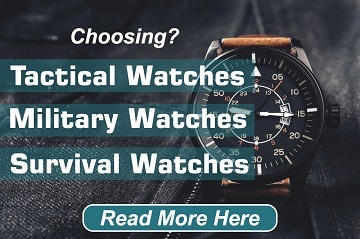 Their Evolve series has been a bestseller year after year and for good reason. As the newest product of that line, this bow really has evolved! Weighing a paltry three pounds, you could pack this thing around all day and up and down any number of stands and never know it was there. Another benefit of that lightweight is an amazing let off of 90%. When the bow doesn’t have to move heavy limbs, it keep all that energy where it’s supposed to be, behind the arrow. There is a price to that sort of let off, vibration. This isn’t the most comfortable bow to shoot, even with the flex rod system PSE uses. Carbon fiber may be great for weight but it gets heavy on the wallet. This is the most expensive bow on the list. Very light weight, great mobility. Crazy let off and power. Shoots consistently and groups well. Quite loud for a hunting bow. Hunters do have to be somewhat budget minded. With everything it takes to get out there for deer season, you save pennies where you can. But never at the cost of results! Every dollar spent has to provide the maximum benefit. For the best bang for your buck, the Bear Archery Threat is a real contender! Though it costs several hundred dollars less than the competition, the threat isn’t light on quality. 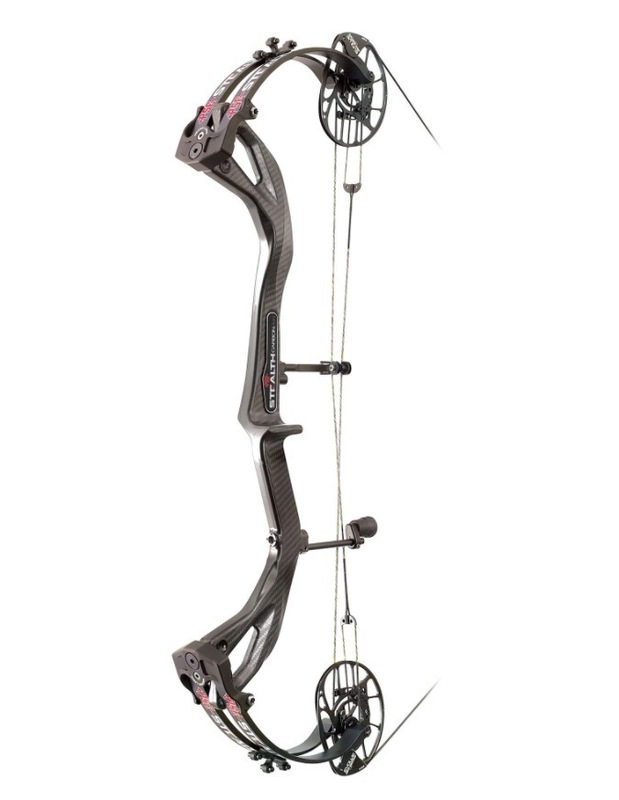 The arrow speed is still top notch and the bow is packed with features. The package deal includes great sights and high-quality string silencers. All in all, you couldn’t ask for more of a bargain. This bow is a comfortable bow, easy to shoot and smooth on the draw. It does lack in accuracy over some of the higher priced contenders but should serve you will unless you shoot a lot of competitions. For hunting, it’s a great choice for those who don’t want to mortgage their house for deer season. Smooth draw and let off. Very affordable for the quality. Not as accurate as other Bear bows. People buy Ferraris because they are fast and look nice, not because they are good for getting groceries or picking up the kids from soccer practice. For some people speed is king! If that is you, look no further than the Obsession Fixation! This bow drives arrows down range at a speed that may very well give a deer whiplash before it even realizes its hit. Deer season is short but for archery companies innovation has to be year round. As a company, Obsession has embraced this idea with open arms! Every year they have pushed their small company forward to compete in a market full of great products. The Fixation bow is the end result of those efforts pushing out arrows at better than 350 fps. Usually, you can expect a bow that fast to have some shock to your hands when the string slams home. Though it’s not clear how, Obsession has managed to overcome that flaw. Unfortunately, the arrow speed does cost some accuracy. Though plenty enough to nail a deer, this bow is unlikely to finish first in the competition circuit. More comfortable to shoot than it should be. Clean lines and a great overall look. Less accurate than a thousand-dollar bow should be. Heavy but still balanced well. Less bow for the money than competitors. To some degree, all of the bows above are geared toward hunters but if you are a dedicated match shooter, you may need something else entirely. Though most companies offer renditions of their bows for target shooters, none have really dedicated a line of equipment specifically to it. But PSE did, and one of their hallmarks is the Performance X. One of the great advantages of this bow is that it is a true center pull bow. For hunters, it may feel a bit alien but when it comes to accuracy, it is unrivaled! The shoot through riser provides a consistent shot by being so stiff that the bow can’t flex and deviate from your normal point of aim. Add some of the best riser pockets on the market and precisely engineered cams and you have a bow that splits hairs. The bright colors may stand out in the hunter crowd but when you hit arrow after arrow in the same spot, any judgmental hunters will quietly leave the room. If your goal is simply to put the arrow precisely where you want it, this bow is the bow to do it. Smooth as silk to shoot. Very comfortable balance and weight. Difficult to get used to shooting. Looks strange, not for hunting at all. Maybe you like to shoot a bow and aren’t a hunter but you still don’t go in for the high-pressure competitions. You shoot for fun more than anything else. If so, the key is to get a good shooting bow without the punch to your bank account. Diamond bows are great for that! This bow has top marks on value while still being a great shooting little bow. It doesn’t stand out because it doesn’t need to. It serves its role well and does it at a price that can get most anybody into shooting. If you hunt occasionally, this bow can stand with the big dogs. If you shoot 3D matches or just let loose a few arrows at the occasional target, you will be pleasantly surprised. For a bow costing far less than half the price of the big dogs, this is a smooth shooter that is comfortable to draw and hold so you can play all day without feeling it in the morning. The hand shock is surprisingly mild and with the reasonable draw weights, rollover is easy and relaxed. This is a no pressure bow for a no pressure shooter. Low vibration and hand shock. Quite plain with no features. If you are just starting out, the key to success is to get a bow that is cost effective but still provides the pleasure of shooting. Sure, you can dump a grand or more on a big name bow and hope you like the hobby but who is crazy enough to do that? Okay, we all know people but let’s not be one of them. Let’s play this smart! I would hazard to say that there are more Genesis bows being shot today than any other brand on this list. They are a main provider of bows for schools, troops, and clubs around the country, mainly because they are so cost-effective. Let’s face it, if you can get a kid to put down his video game and pick up this bow and shoot it for a couple of hours a week, Genesis has to be doing something right. It’s not the smoothest bow or the most powerful. But it is plenty accurate and a super fun little bow to shoot. If you want to try bow hunting, the draw weight is sufficient for most game. For the price, it draws smooth and has a consistent let off. If you are just now starting on the crazy, addicting hobby of archery, there are far worse choices for you. Fun and easy to shoot well. Great as an introductory bow. A little rough on the draw. Feels a little rough around the edges. Do you have a padlock on your wallet and the pennies in your pocket are pinched so tight they are screaming but you still have the need to hunt? Then the SAS rage is your new best friend! At the price of this bow, the meat of one deer will actually save you money. Give those pennies a rest and check out how cheap a decent bow can be! Is it the best bow? Of course not! But it’s about as cheap as you can get a bow that would be worth taking into the field. The Rage is actually a surprisingly good bow for the money. It doesn’t have any special features or great technology, just a rock solid riser and compressed ABS limbs which should be virtually indestructible short of a blow torch. For what you pay, the downside is that this bow is not too quiet, comfortable, or smooth. But it is accurate and reasonably fast. You won’t be pulling off Robin Hood shots but you can bring home a deer or most any other game in North America with its option of up to a 70# draw. At this price, there is really no reason not to get this bow if you are a casual hunter or just want a bow to play around from time to time. Low vibration due to flexible limbs. There are so many great bows out there for you to try using. While I think that any of these bows would do well, I’m thinking that I might do best with the Prime Logic. The bow is very adjustable and I’ll be able to get the draw length just right for me as well as adjust the other parts of the bow. Even though it’s more expensive, the let off is also attractive to me. But what I want and what you need aren’t always the same. Hopefully, you’ll be able to get out there and find a bow that will work with you. Just make sure that you follow some of the advice that we have given you. Then you’ll be able to really find the best bow for the purpose that you want. Nice review. That PSE Carbon Air looks intriguing, especially for those of us that are challenged with height and length. So i take it you didnt get any big brand bows besides bowtech to test. Because to not list the triax in this list or any from hoyt is absolutely crazy. Obsession one of the hardest bows to actually find in an archery shop (not some dudes basement shop that has 1-2) Michigan not one actual archery shop carries them. Darton didnt make the list one of the biggest turn arounds in a company ever and turning out some amazing products. And the list goes on of companies you left of a list that lets be honest you never even shot. You shot these 10 and picked between these. So this article she read 10 best bows out of the 10 we tested! Wow. Nice post. Thanks for sharing your valuable post. Can you tell me? 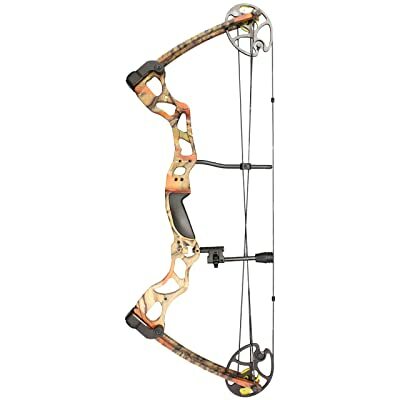 Which site I could Best Bow Sight Under 100 Dollars?